Preferred Properties Landscaping and Masonry designed and created this theme around a fiberglass pool after it was craned overhead and into is new home. This Poolscape looks already established around the newly constructed fiberglass pool. Preferred’s masonry staff and planting crews worked diligently to get this pool summer ready for use. Preferred Properties landscaping and masonry crews worked in a systematic manner to allow the homeowners full use of this really exquisite back yard. The patio and poolscape are surrounded by lush plantings and lighting. 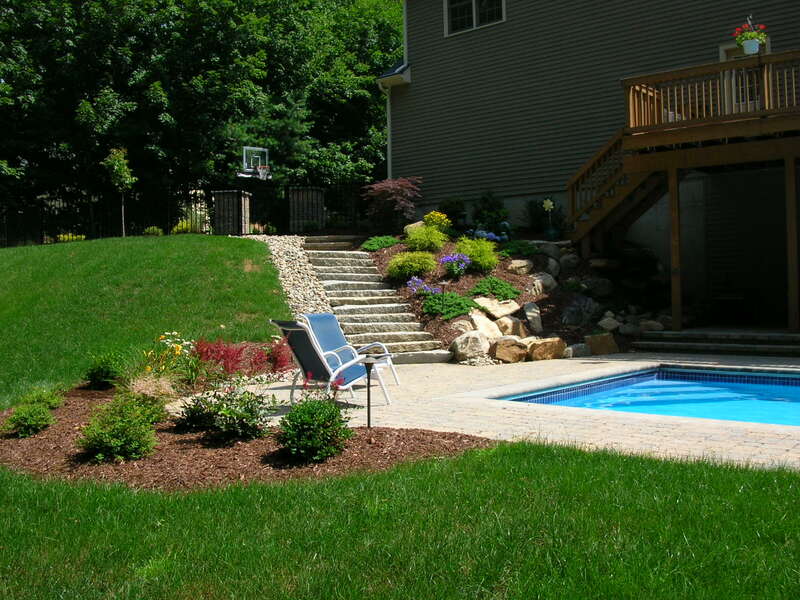 Preferred Properties Landscape designers are accredited nurserymen and members of the APLD CT chapter. The Association of Professionals Landscape Designers are a formal association bring professional presence to the Landscaping Industry. Preferred Properties Landscape designers Michael Gotowala and Chris Rizzutto have extensive nursery knowledge, great plantsmen and masons to fulfill the roster necessary to build these types of exterior lifestyles. Preferred Properties Landscape designers work with the homeowners to derive a landscape plan that parallels the homeowners persona and budget. Outdoor lifestyles include outdoor kitchens, stone patios, courtyard terraces, swimming pools, hot tubs, fire pits, outdoor lighting and even sound. Living beyond the walls of your home is by far the greatest and most exciting investment for homeowners in this past decade. Suppliers, and dealers have presented the public with innovative products to greater enhance the homeowners lifestyle. Whether it is out of convenience, security or even extended value. Small areas outside are designed to allow the homeowners to recreate with the family in numerous ways. A majestic setting around a formal pool, cool blue sport court, fire pit with surrounding sitting walls, raised stone terace with outdoor kitchen are among the popular choices for homeowners to try to create. This landscape is more natural and simplistic in design. 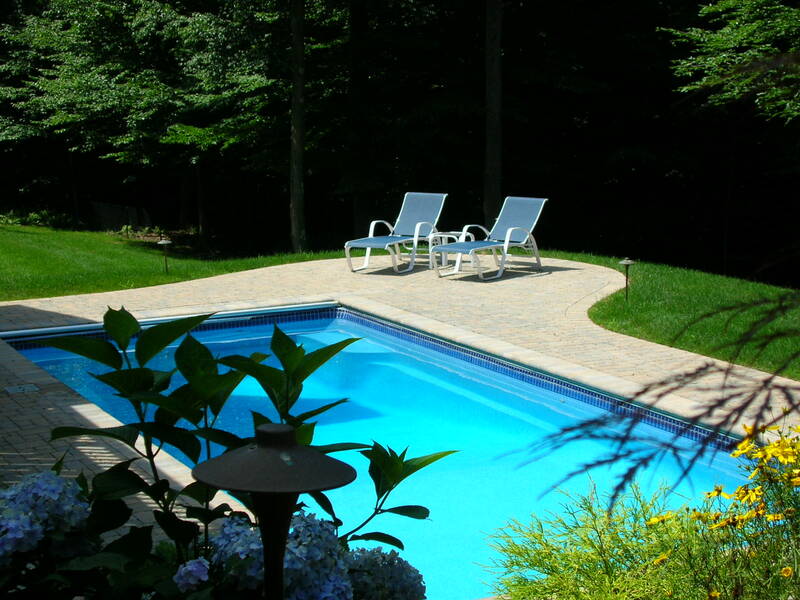 The ease of maintenance and summer color brings the homeowners to ease to enjoy the pool and keep the poolscape manicured without much effort. 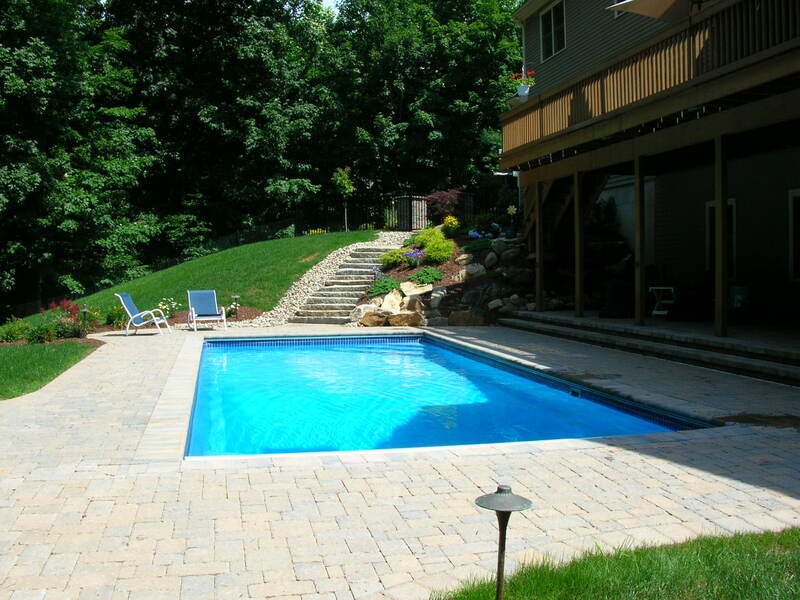 Preferred Properties landscaping and masonry has over two decades design build experieence in creating outdoor lifestyles. Preferred Properties award winning designs can be implemented in phases if necessary. Speaking to one of the Preferred Properties Designers is so important in the building of such complicated projects. A project manager is essential to maintain contractor protocol and timelines. 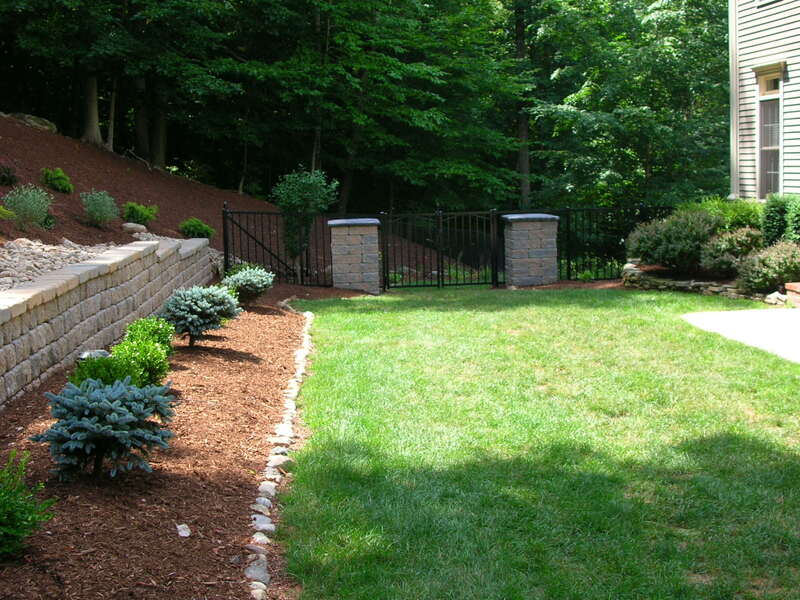 Preferred Properties Landscaping offers design build services including dsign supervision. Preferred Properties Landscaping and masonry staff has been involved in landscaping and outdoor living projects for about 24 yrs. now. Their approach is award winning and proven. 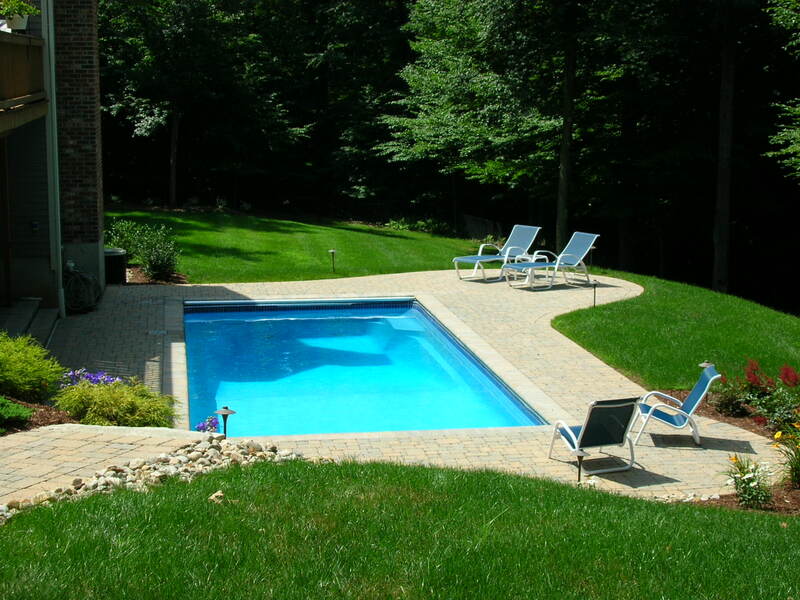 WWW.OutdoorlivingCt.com is the home site of Preferred Properties Landscaping and Masonry. Preferred’s staff runs the gamut from horticulturaliusts, nurseymen, landscapers, landscape designers, plantsmen, stone setting masons, brick layers, paver setters and outdoor lighting specialists. Preferred Properties’ plantsmen put the finishing touches on planting this poolscape. Lighting also is installed to extend the landscape well into the night time seasons. If this is a project you may be interested in, Preferred Properties is here to help. Go to www.OutdoorlivingCt.com to see more. On the home page you will find Preferred’s youtube channel where over 30 videos of their work can be found. 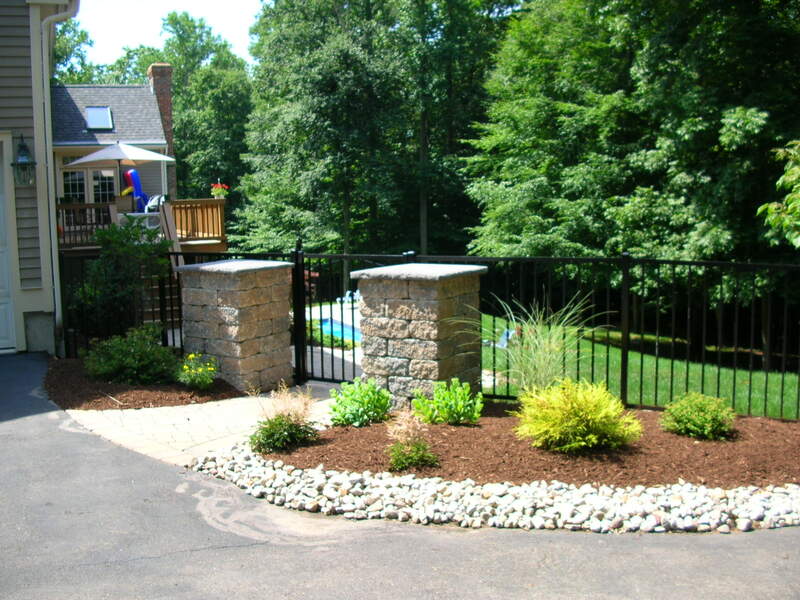 Preferred is a premier landscape design build firm whom you will find it a pleasure to work with. Their nursery can be found in Cheshire, Ct. This entry was posted in AOLP, APLD, association of professional Landscape designers, Belgard pavers, Best of Cheshire, CAST lighting, Cheshire Chamber Best of Best, Cheshire Chamber of Commerce, exterior lifestyles, Featured Projects, Fiberglass pool, firepit, Inground pool, landscape architect, landscape architecture, Landscape Design, landscape designer, landscape lighting, landscape lighting design, Landscaping, Live a "Preferred" Lifestyle, Masonry, outdoor lighting, Outdoor Lighting / Low Voltage Lighting, outdoor living, Outdoor Living and Landscaping specialist, patios, Paver design, pavers, Pools & Poolscapes, Preferred Properties Landscape designer, Preferred Properties Landscaping, Preferred Properties Landscaping and MAsonry, stone work, Swimming pool, Uncategorized and tagged AOLP, Cheshire Chamber of Commerce, Fiberglass pool, inground swimming pool, landscape lighting, landscape lighting design, Landscaping, Masonry, Michael gotowala, outdoor lighting, Paver patio, Pool, Pools & Poolscapes, Preferred Properties Landscaping, Preferred Properties Landscaping and MAsonry, preferred properties landscaping and Masonry. live a preferred lifestyle., Preferred Properties Landscaping and nursery, Swimming pool. Bookmark the permalink.